Lorraine is known for being the face of breakfast television. Lorraine currently has her own show "Lorraine" on ITV Breakfast and in May 2012 she took over from Christine Brinkley on Daybreak. After GMTV ended, LK Today turned into a new look "Lorraine" and continued its success. On top of ITV lorraine has also been seen presenting various shows including Lorraine Sky1, Liquid News BBC Choice, Liquid Eurovision BBC Choice, Town To Town BBC Scotland, Question Of TV BBC1, Family Of My Own BBC1, Parenting BBC1, The Sheena Easton Story for BBC1, Live Talk for ITV, Parents Know Best for Meridian and The Living Room for the Living Channel. Lorraine is also no stranger to radio. She presented her own network show on Talk Radio: 12pm to 2pm Monday to Friday for 2 years ending December 1998. She has also presented live afternoon radio shows for radio 2 in 1994. In addition to the above, Lorraine has presented the spectacular BBC1 production of Hogmanay Live 1996, House Hunters for ITV a light entertainment/factual game show, three series of Live Issue the current affairs series for Scottish TV, Kelly's Heroes a show for Meridian that sets out to find unsung heroes and The Ultimate Shopping Guide a fun afternoon consumer programme for Carlton. Lorraine made her first fitness video in 1998 called Figure It Out which went to No 1 in the health and fitness video chart beating Anthea Turner, Beverly Collard and Rosemary Connolly. With this success a follow up video was made in 1999 called Figure Happy which also proved a big hit. Lorraine writes a weekly opinion column for the Scottish Post and in april 1999, taking full advantage of the success of her video and journalism skills, she launched her own weekly column in the Sun newspaper covering health, fitness and lifestyle. The column which originally went out in the paper on a Wednesday was so popular it was expanded to a full page and moved to there Saturday paper. She has previously written columns for the child care magazine "first steps" and is a regular contributor to many women's magazines. She was also announced as the first Agony Aunt for the Royal Air Force's fortnightly RAF News on 7 October 2009. She is one of britain's most versatile broadcasters. Not only at home with news reporting, she covered Piper Alpha and Lockerbie while working as Tv-Am's scotland correspondent. She can also handle sensitive human interest stories, showbiz chat on the sofa, as well as massive outside broadcasts. She started her career in print journalism, joining her local paper the East Kilbride News straight from school. Until the birth of her daughter Rosie in 1994, Lorraine presented GMTV's 7 to 9am slot. From 1989 to 1992 Lorraine was the station's main presenter taking over the role from Anne Diamond. With TV-AM's demise, the transition to GMTV was not as predictable as was imagined. Lorraine was approached by bazal Productions, an independent production company who had commissioned independent research to find the star presenter of the station's new women's show top of the morning. The research, which is proprietorial, sought to arrive at spontaneous recall of the presenters most admired or respected by a cross section of women, from a variety of social economic and regional groups. 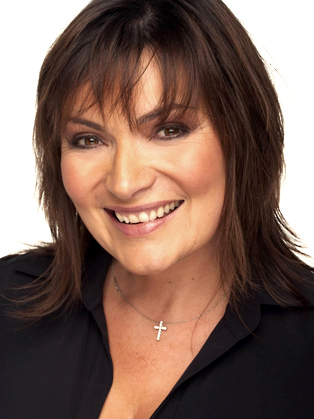 The highest scoring individual recalled was Lorraine Kelly. With the immediate falling ratings of the new station, Lorraine was brought from top of the morning to become the saving face of GMTV. Lorraine was awarded the accolade of best new talent, by The Television And Radio Industry Club in 1991. Lorraine received praise for her live broadcasts for GMTV after the Dunblane tragedy.